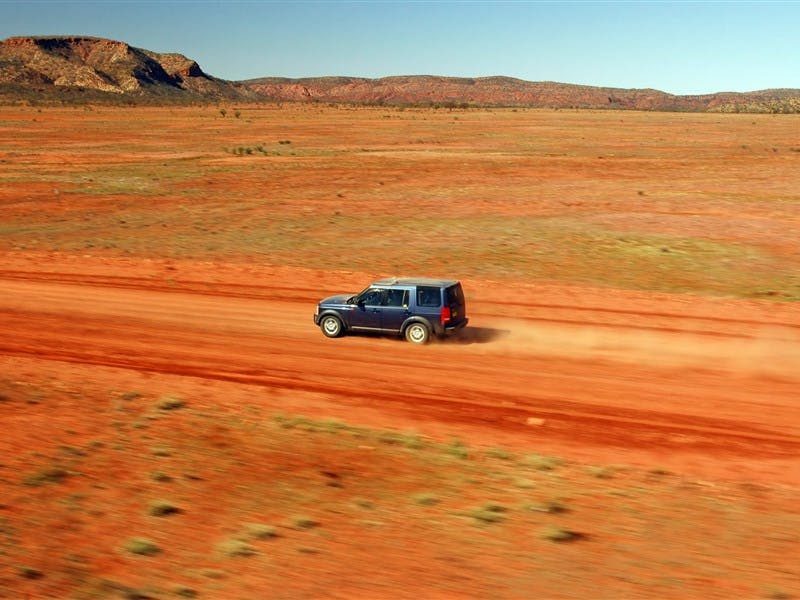 Located 110 kilometres east of Alice Springs, via the East MacDonnell Ranges, the historic town of Arltunga was officially Central Australia’s first town and once supported up to 3,000 people. Arltunga was born out of a gold rush in 1887, when alluvial gold was discovered in a dry creek bed. 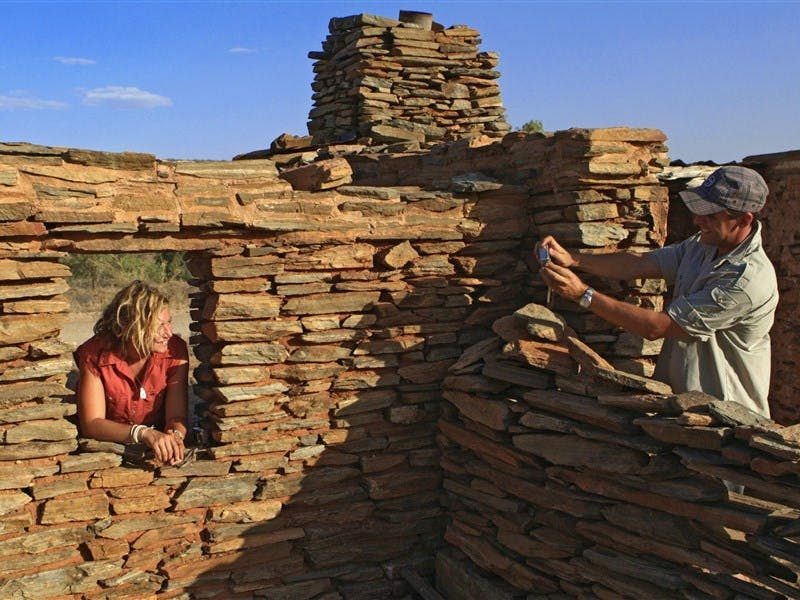 Fortune seekers had to travel 600 kilometres from the Oodnadatta railhead, often on foot, to seek their fortune in a harsh environment. 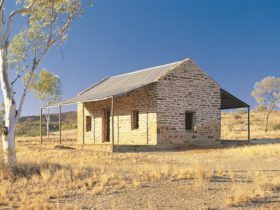 At the time, Alice Springs consisted of just the Overland Telegraph Station, and was little more than an outpost that had expanded as it became the supply base of Arltunga. Mining activity continued in the area for 30 years. Today you can relive the heyday of Arltunga at the Historical Reserve, where the remains of mines, old miner’s camps and stone buildings (some of which have been restored), are preserved for the public to explore. 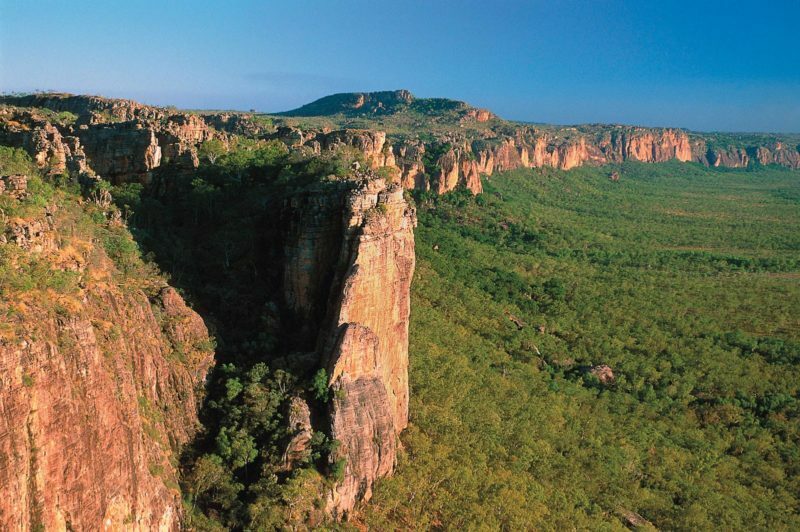 Drivers are advised the road to Arltunga includes 33 kilometres of gravel road. The fossicking area is located outside of the reserve, however you can pan for gold in the visitor centre’s courtyard display. The Visitor Centre provides visitors with a detailed understanding of the Reserve’s past.